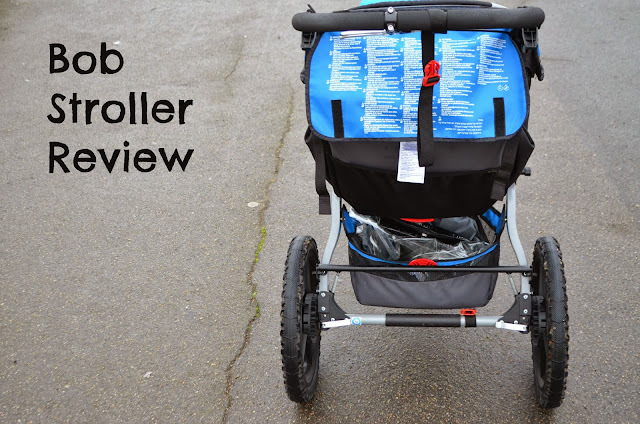 I posted recently about what my guest reviewer, Nick thought of the Bob Sport Utility stroller but it is about time that I shared my views too. 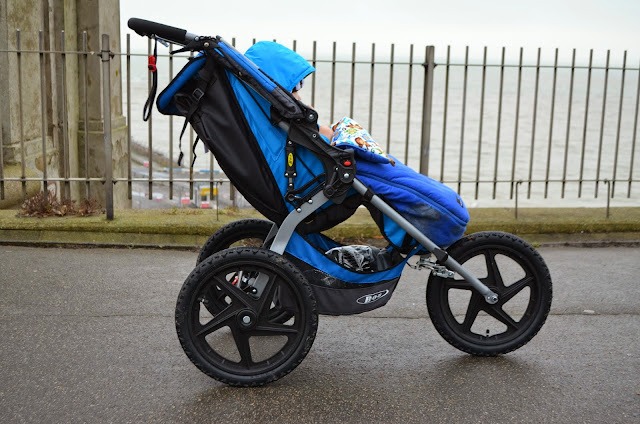 The stroller is big, with wheels that are closer to bicycle tyres than your average buggy wheels and the seat is huge. The whole stroller seems super sized compared to the nippy things we use around town, but this is what makes it perfect for an active lifestyle. 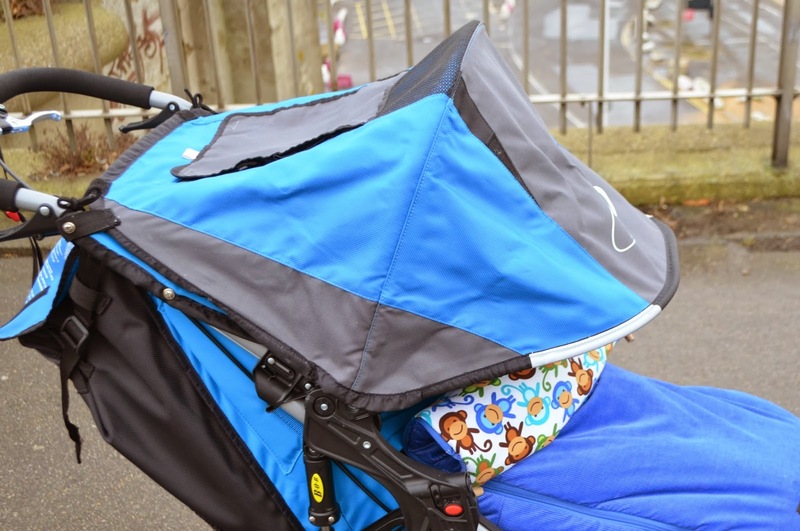 The stroller is incredibly well made, the material is strong and durable and we haven't yet had a puncture or problem. There is a secure 5 point harness and the hood is large and protective. The raincover for this stroller is unlike any I have previously come across and is storm proof as well, leaving me no reason not to get out and about! I haven't been running with this nearly as much as I should would like to, but it is brilliant to jog with and makes life much easier as I can take one of the littlies with me. We have the seafront only a short walk from our house and it is the perfect place to take the Bob for a jog or a power walk. I find it really easy to use, the handlebars are in a comfortable position for me and I am kept motivated by a little voice shouting ' faster mummy!' the whole time we are out. I mentioned above that the pushchair is huge, and it is, there is no doubt about it, but it is also smooth and when you are pushing it, it doesn't feel bulky at all. It is large when folded although it can be made smaller if you remove the wheels, but we tend not to collapse it really as we have space in the house. This stroller is not designed for the city and the front wheel only has the fixed position meaning to turn corners you do have to lift the wheel up. The buggy feels almost weightless even with my 16kg toddler in but this is still a bit of a pain around town. The basket is lovely and big though and it does hold quite a bit of shopping! This buggy is perfect for what it is designed for and as an all terrain/ jogging stroller I cannot think of any improvements I would make. It wouldn't be suitable as a main pushchair however due to the bulk and the static wheel. Hi, what footmuff did you use with the bob? I can't find any that are compatible.